Start your day right with a free, hot & full breakfast at the Homewood Suites Hotel Downtown Denver. 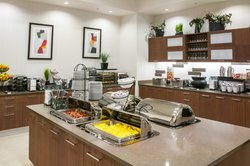 Help yourself to a choice of delicious hot and cold breakfast items before heading off for business, a day of exploring, or just relaxation. Wake up with coffee, tea or fruit juice and read the morning newspaper in our beautiful dining area. 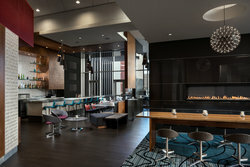 Recharge at any time of the day in the hotel lobby with the perfect cup of free tea or coffee. No time for breakfast? We’ve got you covered. Even if you’re in a rush, don’t miss the most important meal of the day. On your way out, simply grab one of our free On the Run breakfast bags, available Monday through Friday, for a quick, healthy meal to go. 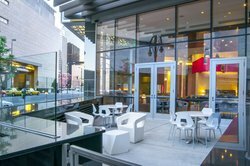 Whether you want to catch up with colleagues or relax after a day of exploring Denver, 550 Bar & Patio provides the perfect atmosphere. 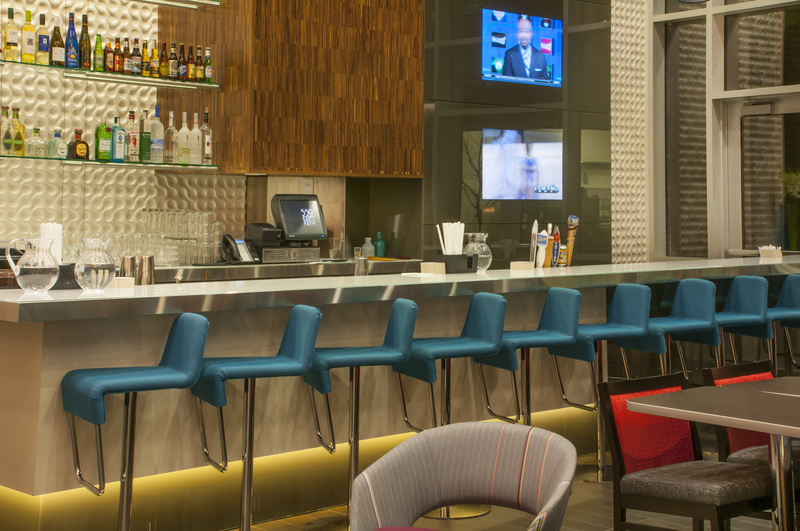 Enjoy a signature cocktail and choose from a selection of appetizers, sandwiches and more. 550 Bar & Patio features Happy Hour from 4:00-6:00 pm and 9:00 pm to close, seven days a week. 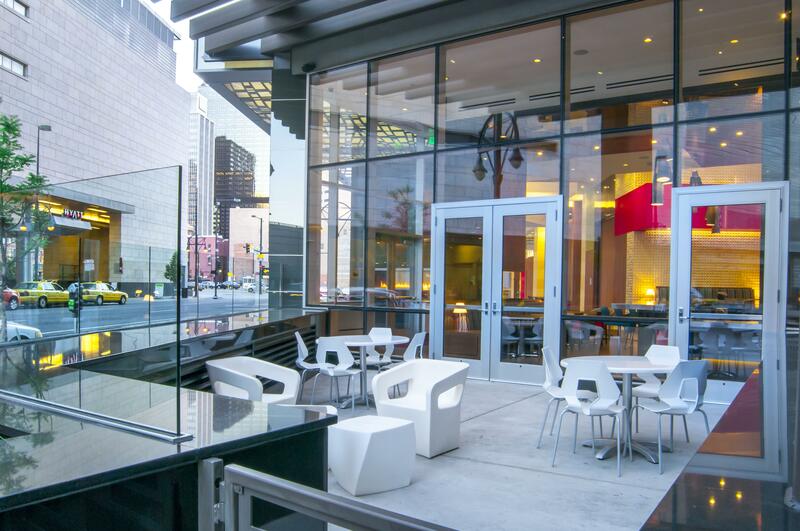 Outdoor patio is open year round, weather permitting. 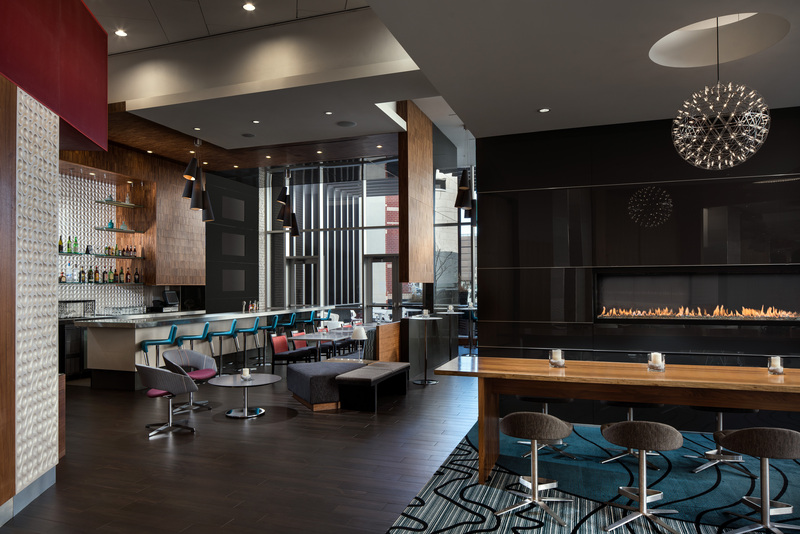 Unwind at the end of the day with a complimentary social* in our Lodge, Monday through Thursday. 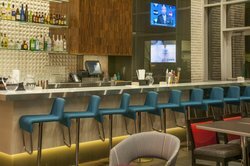 Grab a drink and unwind with friends or colleagues at our elegant hotel lounge. Stay your day right with a delicious, hot and full breakfast. All your favorites, along with freshly-brewed coffee and tea, to get your day started.